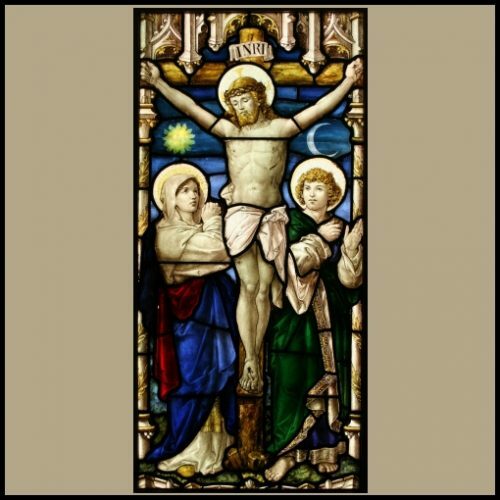 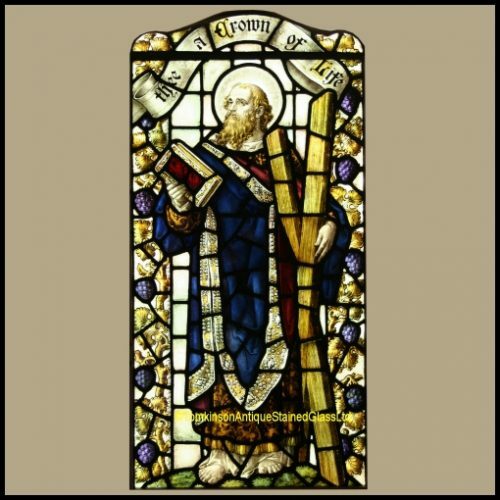 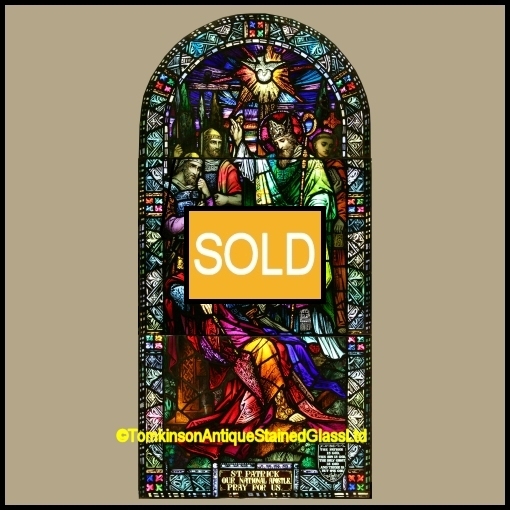 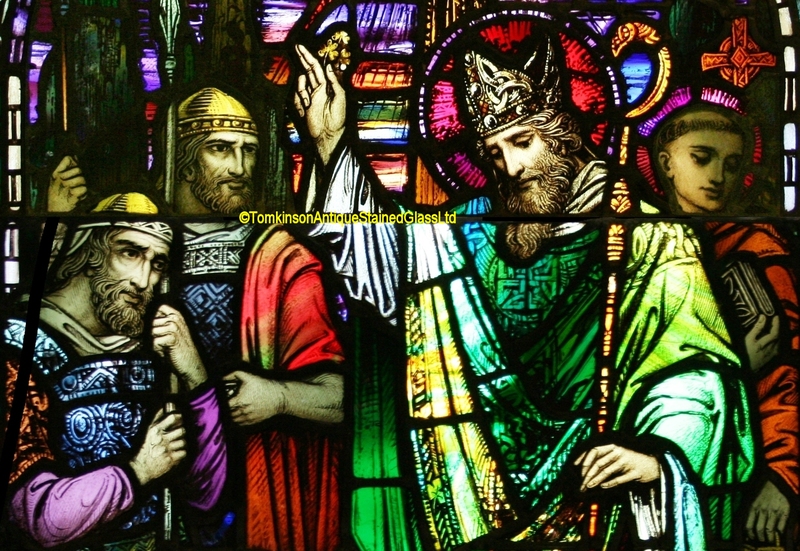 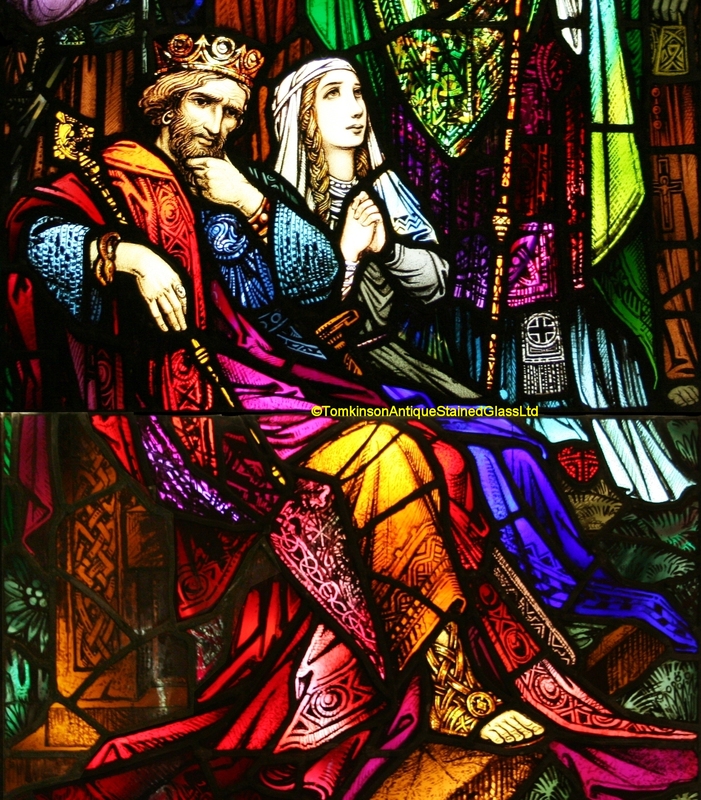 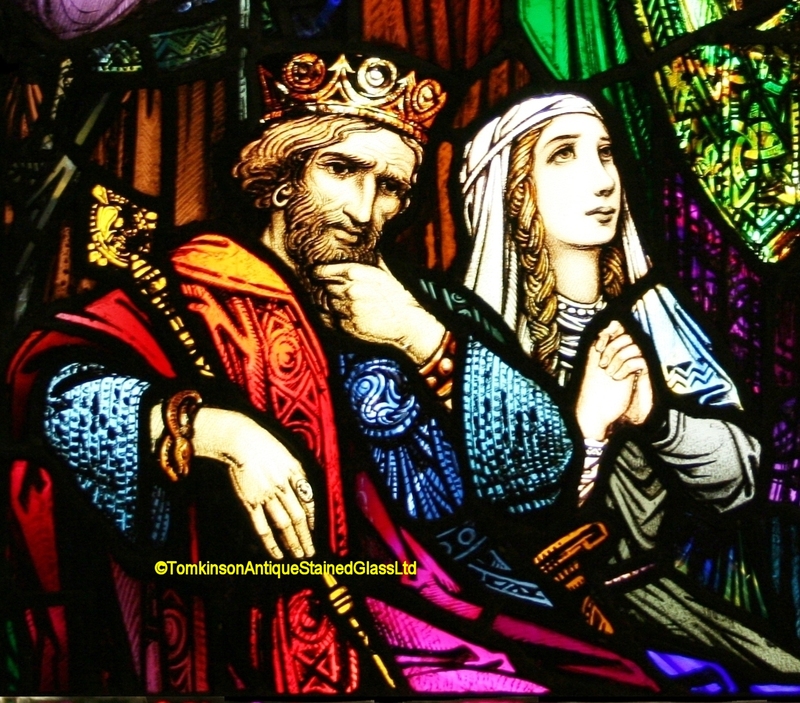 Large church stained glass window, made up of three panels, each hand painted depicting St Patrick, patron saint of Ireland, baptising King Loegaire and receiving him into the Church, Queen Angias sits beside him. 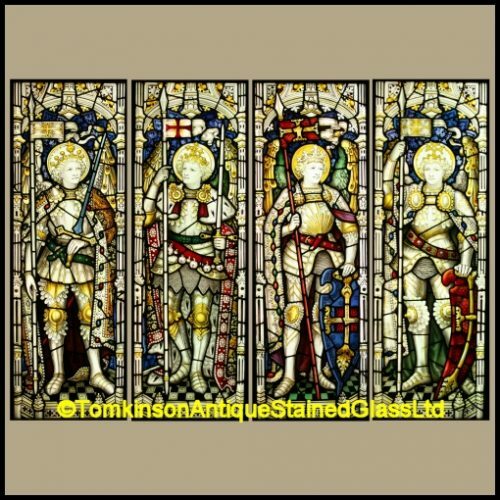 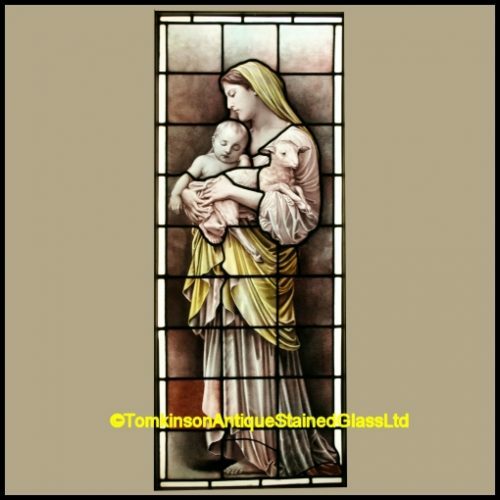 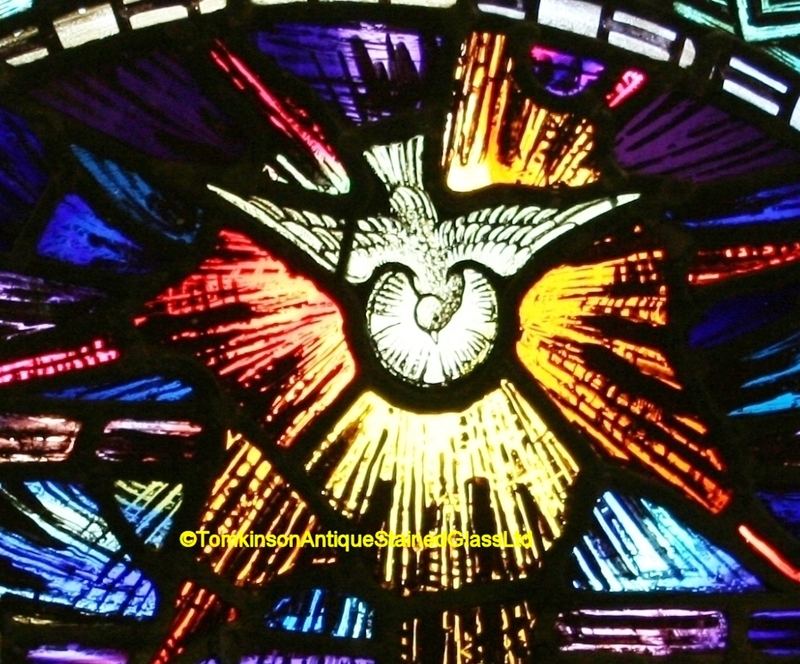 All hand painted, on the best quality colored glass, and very much in the style of Harry Clarke which the Early Studios were influenced by. Super qulity and in excellent original condition.